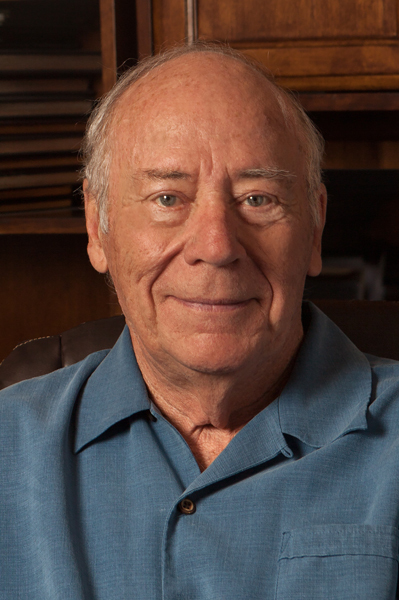 Ed Beauvais founded America West Airlines in 1981 and served as the company’s first CEO. The company grew rapidly and eventually merged with US Airways, which then went on to merge with today’s American Airlines. By establishing Phoenix as the corporate home and operational hub for America West, Mr. Beauvais contributed significantly to the rapid growth of Phoenix and Sky Harbor Airport. Mr. Beauvais began his aviation career in 1960 when he joined Frontier Airlines as a senior accountant. Three years later, he joined Bonanza Airlines, which moved its headquarters to Phoenix in 1966. Two years later, Bonanza merged with Pacific and West Coast Airlines to become Air West. Soon after Howard Hughes bought Air West in 1970, Mr. Beauvais left the company to start Beauvais, Robert and Kurth, an aviation consulting firm whose clients included Frontier, Allegheny, Southwest Airlines and Continental Airlines. In 1981, Mr. Beauvais re-entered the airline industry by founding America West Airlines. By establishing Phoenix as the airline’s hub city, he attracted other airlines to Sky Harbor Airport, including America West’s fierce competitor, Southwest Airlines. America West played a key role in the rapid growth of Phoenix and the creation of thousands of jobs in the area. After leaving America West, Mr. Beauvais founded Western Pacific Airlines and Mountain Air Express in 1994. He saw an opportunity to provide airline service to smaller markets. Mr. Beauvais holds a bachelor’s degree in accounting and economics from Regis University, and he has been recognized with honorary doctorates from Embry-Riddle University and Colorado Technical University. Ed Beauvais and his wife Mary Ellen celebrated their 60th anniversary this year, They have 5 children and 7 grandchildren.